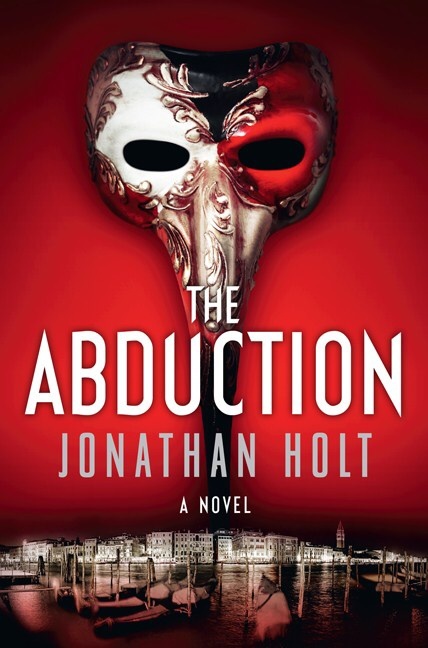 I would like to read The Abduction by Jonathan Holt, the exciting, heart-pounding, adrenaline-fuelled follow up to The highly acclaimed international thriller The Abomination. The Abduction is a modern tale of mystery, treachery, and intrigue that moves between the physical and virtual worlds of Venice, Italy, blurring the boundary between dark fantasy and terrifying reality. It features Second Lieutenant Holly Boland,an intelligence analyst trained to look for clues ordinary investigators miss. Who is sent to investigate the disappearance of a U.S. army officer’s daughter who has been kidnapped from an American base in Venice, And is sure that the mysterious abductors want more than a ransom. Aiding Boland is Venetian Police Captain Kat Tapo, who has found a webcam feed embedded in the encrypted website Carnivia.com, a virtual Venice. It streams video of a terrified teenage girl, hooded and tied to a chair. A strand of text scrolls across the screen: “Sensory deprivation is not torture.” Could this girl be the missing daughter of the American military officer and Who is behind the cryptic message? French sculptor-Auguste-René Rodin was born 12th November 1840. Although Rodin is generally considered the progenitor of modern sculpture, he did not set out to rebel against the past. He was schooled traditionally, took a craftsman-like approach to his work, and desired academic recognition, but was never accepted into Paris’s foremost school of art. From the unexpected realism of his first major figure ( inspired by his 1875 trip to Italy) to his unconventional memorials, Rodin possessed a unique ability to model a complex, turbulent, deeply pocketed surface in clay. However, at first many of his most notable sculptures and original works were roundly criticized during his lifetime, because they modeled the human body with realism, and celebrated individual character and physicality, rather than using the traditional themes of mythology and allegory, where figure sculptures were decorative, formulaic, or highly thematic. Rodin was sensitive to the controversy surrounding his work, but refused to change his style. Gradually though, successive his works began to be appreciated by the government and the artistic community and his reputation grew until he became the pre-eminent French sculptor of his time. By 1900, he was a world-renowned artist. Wealthy private clients sought Rodin’s work after his World’s Fair exhibit, and he kept company with a variety of high-profile intellectuals and artists. He married his lifelong companion, Rose Beuret, in the last year of both their lives. Rodin sadly passed away on 17th November 1917. His sculptures suffered a decline in popularity after his death in 1917, but within a few decades, his legacy solidified and he remains one of the few sculptors widely known outside the visual arts community. best known for his work in The Jimi Hendrix Experience English Drummer John Ronald “Mitch” Mitchell Sadly passed away 12 November 2008 . Born 9 July 1947 Mitchell first starred in a children’s television programme, Jennings and Derbyshire, when he was a teenager, and starred in a leading role in the 1960 British film Bottoms Up! with Jimmy Edwards. He became a musician through working at Jim Marshall’s drum shop on Saturdays while still at school. Early in his career, Mitchell gained considerable musical experience as a touring and session musician, working with Frankie Reid and the Casuals (1962), Johnny Harris and the Shades, The Pretty Things, Bill Knight & The Sceptres, The Riot Squad, Georgie Fame and the Blue Flames, and The Who as a session drummer while the band was in the process of replacing Doug Sandom with Keith Moon. After Hendrix’s death, Mitchell finished production work with engineer Eddie Kramer on incomplete Hendrix recordings, resulting in the releases The Cry of Love and Rainbow Bridge. In 1972, he teamed up with guitarists Mike Pinera and April Lawton to formRamatam. They recorded one album and were Emerson, Lake & Palmer’s opening act at a number of concerts. Mitchell and Hendrix had been offered spots in the band Keith Emerson and Greg Lake were forming, but Carl Palmer got the drum position instead. Ramatam never achieved commercial success and Mitchell left the act before their second LP was released. Mitchell also performed in concerts with Terry Reid, Jack Bruce, and Jeff Beck as a substitute for drummer Cozy Powell.Michael Jeffery, Hendrix’s manager, relegated Mitchell and Noel Redding to paid employees without an ownership share in future revenues. This limited their earnings and led to Mitchell and Redding being largely excluded from sharing in revenues generated from the Experience. 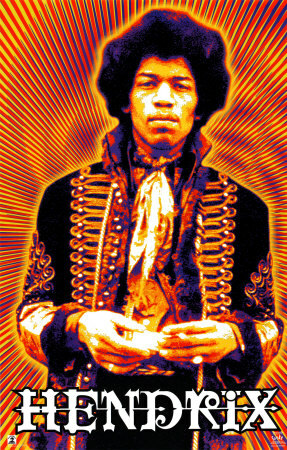 Financial hardship pressured Mitchell in the mid-1970s to sell a prized Hendrix guitar. He also sold his small legal claim to future Hendrix record sales for a sum for about $200,000.